EDINBURG — William Paul Fletcher was sentenced to more than 50 years in prison Friday after he agreed to plead guilty to murdering his wife last summer. 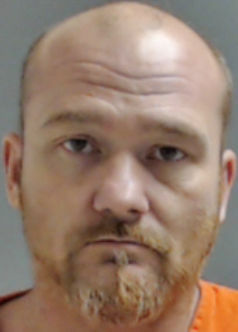 Fletcher agreed to a plea bargain Friday, avoiding a jury trial, and in exchange he received a reduced sentence of 55 years in prison, according to court records. The 42-year-old Edinburg man admitted to killing his common law wife Maria Gallegos, also of Edinburg, in a jealous rage. The woman’s adult son came upon a gruesome scene the morning of Aug. 17, 2016, when he discovered his mother’s lifeless body in a pool of blood, authorities said. Gallegos was found around 8 a.m. inside her residence in the 7100 block of Terne Avenue, officials said. A day later Fletcher, who made his living as an electrician, admitted himself into the emergency room with self-inflicted injuries. Authorities arrested him and arraigned him while he lay in a hospital bed. Fletcher, according to authorities, made incriminating statements to hospital staff — implicating himself in the murder of his wife. On Friday, his attorney O. Rene Flores made a brief statement regarding his client’s sentence. Gallegos was 45 years old.